Hatfield Comets Wheelchair Rugby Football Club Invites Hatfield Town Council For an introduction to the sport. 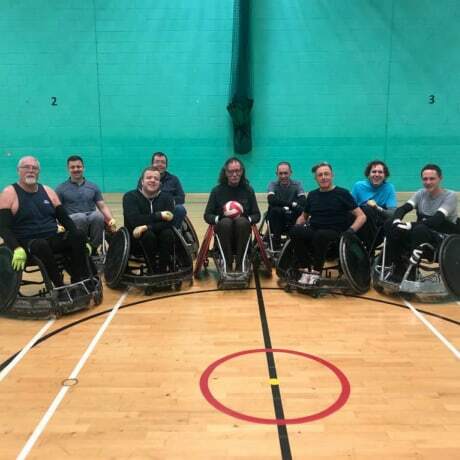 On the 22nd May 2018 3 local Wheelchair users formed the Hatfield Comets Wheelchair Rugby Club. We had enough local interest to form a small team and hoped we would pick up a few players along the way. We immediately went out and started looking for a local sports hall we could call home. Thankfully Hatfield Town Council heard our call and offered us a slot at the busy Birchwood Leisure Centre on a Saturday 1 till 3pm. Each weekend from then we have been meeting there with a steady user group slowly growing our skills and becoming a team. At the beginning of 2019 we entered into the 5s Tournament which is held over 3 weekends the first of which is in May. With time to fill practising our skills we decided we’d approach some local user groups to give greater awareness of the sport and raise the local disabilities profile. 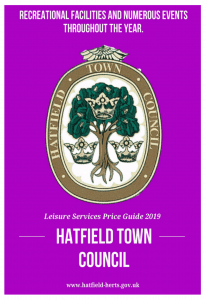 Where better to start than the Hatfield Town Councillors. Cllr Brandon the Leader of HTC had been in touch on a fairly regular basis checking all was ok and ensuring our needs were being met so we approached him and asked if he would like to find a few Councillors or members of his team at HTC to come down and play with us. Initially we were met with some scepticism around able bodied people in wheelchairs which is totally understandable but we reassured him that it’s a great way for us to showcase the sport and give a little insight into how challenging being in a wheelchair could be. On the 26th Jan 2019 The Mayor, Cllr Brandon, Cllr Broach and a member of the HTC team Parvel turned up with a look of not entirely knowing what to expect. We quickly got them sorted with gloves and assigned them chairs and set about teaching non wheelchair users how to move. After a short time they seemed to pick it up so we moved onto ball control and shortly after they were looking like they were ready to play a game. We mixed the groups up and set about playing an easy version of the rules. We must have been fairly good teachers because in minutes Cllr Brandon scored his first goal and from here the pace was set. For anyone that doesn’t know Wheelchair Rugby is a fast end to end game with physical contact only allowed chair to chair. This means there has to be some tactics employed as you can quickly get stopped from making headway. Throughout the rest of the session everyone scored with the last goal being taken by the Town Mayor. Afterwards we all said what a good experience it had been for us hosting and non wheelchair users playing. The Hatfield Comets WRFC would like to thank HTC for coming and extend an invitation for another session in the future.